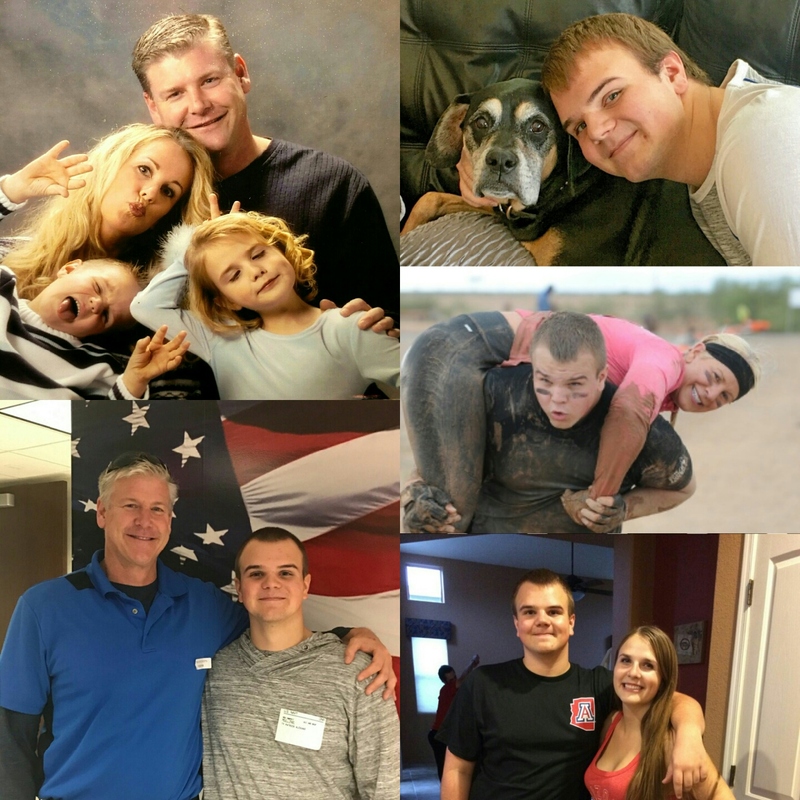 It is with great sadness and heavy hearts that we communicate the death of our beautiful son, brother, grandson, nephew and cousin Ty Mullins, 21, on July 1st, 2018 at his home in Mesa, Arizona. Ty was born April 14th, 1997 in Spokane, WA, 16 months younger than his sister and best friend, Hannah. The family relocated to Beaverton, OR, then to Concord, CA prior to settling in Gilbert, AZ in 2005. Ty attended Val Vista Lakes Elementary, Highland Jr and Sr High and EVIT Law Enforcement, graduating in 2016. After a short stint in the Navy, Ty moved to Tucson, AZ where he lived with his sister and her boyfriend, Alec, until moving to Mesa where he was working at Bass Pro Shops prior to beginning training as a 9-1-1 Dispatcher. Ty had a huge heart and gave the biggest and best bear hugs. He was a truly caring and extremely intelligent young man. 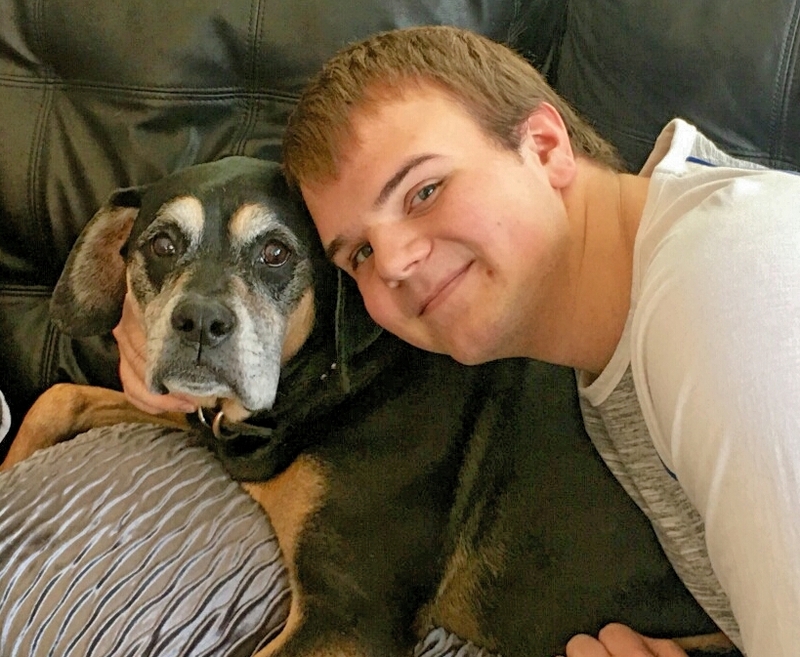 An avid reader, Ty was rarely not engrossed in a book although he could be persuaded to play games, watch movies and even occasionally help with yard work. He loved his dogs, Oreo, Lug, Midge and Ollie. Ty was engaging, amiable and so easy to be around that he was able to hide his internal struggles from those who loved him. He used his incredibly witty sense of humor to deflect attention and no one suspected his intent. Ty is survived by his heartbroken mom and stepdad, Tanya and Dan Albright, Henderson, NV, dad Harry Mullins, Spokane, WA, sister Hannah Mullins, Mesa, AZ, maternal grandparents, Ted and Patrice Linde, Tacoma, WA/Mesa, AZ, paternal grandparents Moon Mullins, Airway Heights, WA and Ione Mullins, Coeur d’Alene, ID, numerous aunts, uncles, cousins and a huge extended family who will miss him so much. May he be at peace. There are no words to lessen your pain, but I hope you can find comfort in knowing loves hugs and prayers are sent to all your family and loved ones! Our hearts go out to you and our prayers are for peace & comfort during this very difficult and hard time. May you know that we love you both so much and we are here for you and your family whenever you need us. Rest In Peace sweet Ty, may God hold you in His arms & give you rest. so very sorry, I know there are no words but I want you to know that I am praying for you and your family during this incredibly sad time. bless him and your entire family. So so sorry for you loss!! I wish I had words of wisdom to help you! Stay strong! Again, so sorry for your loss! My heart is heavy with sadness. Sending hugs, love, prayers to each of you. It’s so hard to know what to say but we love you all and know we are here for you. Oh Tanya, I’m so sorry. My heart is broken for you. Tanya, Dan and Hannah – Words cannot express how sorry I am for your loss. I remember meeting Ty in Concord, such a great kid with such a big personality. Prayers are coming your way to help you stay strong and also for Ty for a safe journey. Wishing you the comfort of precious memories. I am so sorry for your loss!! Sending you lots of love and prayers during this unimaginable hard time! My heart aches with you. I am very sorry to hear this news. I will pray for your family. I’m so sorry to hear of your loss and I will say prayers for you and your family. I am so sorry for your loss and my thoughts and prayers are with you all. I remember Ty as sweet and loving and funny. Rest in peace, Ty. Tanya and family, There are No words that tell the grief we feel for this tragic loss. I know your broken hearts are devastated and I pray memories of good times get you thru this one day at a time . Please know that you all are in my thoughts and prayers. I am so very sorry. My heart is broken for your family. You will be in Donna and I’s prayers. We were so saddened to hear of your loss. Our hearts, thoughts and prayers go out to you and your family. There are no words to soften the broken hearts you have, but will keep you in prayer. Lots of Love! My deepest condolences, there are no words to describe the shock. I will keep him in my prayers. Rest in peace. Words escape me. So sorry for your tragic loss. May he rest in peace. I hope you find the strength to go through these terrible times. I can not even begin to imagine the heartbreak you are going through. Words seem so empty and meaningless , but I am truly sorry for your loss. You are in my thoughts and prayers. I never had the chance to know Ty as the wonderful young man it sounds like he grew into. I will forever think of him as that sweet little towheaded boy, who followed around his big sister Hannah and her bestie Erin. I cannot even begin to imagine the depths of your heartbreak. Words seem so empty and meaningless right now, but I am truly sorry for your loss. All of you are in my thoughts and prayers. I never had a chance to know Ty as the wonderful young man it sounds like he became. I will forever remember him as that sweet towheaded little boy who followed his big sister Hannah and her friends Erin & Rachel around the neighborhood. I cannot begin to express how sorry i am for your loss. I worked with Ty at Bass Pro. He was a hard working associate that always did his best. I know i will miss him greatly. I know he will never be forgotten. I will always remember him. I hope hes in a happier place. I am deeply saddened by this utterly sad news. Words may not suffice to express the heartfelt sorrow that I feel for the passing of your Ty. Please accept my condolences. May he rest in peace and may you have the strength to help you through those tough times. May God’s loving arms bring you comfort in your deep sorrow. Ty was one of my very best friends in elementary school, and was always finding ways to put a smile on everyone’s face. Although I had not seen Ty in a while, I still think about him and how incredible of a friend he was; always genuine, humorous and caring. I am heartbroken for your loss, he was truly an amazing person who positively affected everyone around him. May Ty be at peace, my love and prayers go out to you all. My deepest condolences for you and your family, I cannot express just how amazing Ty was as a friend and as a person. He will truly be missed. My thoughts and prayers go out to you and your family. This comment is late in coming to you, but I just became aware of this tragic news. A wish that is heartfelt and sincere, will always be welcome, no matter it’s timing. I wish there were words to attempt to convey my deepest condolences and my sadness for your loss; I hope my sentiments don’t ring hollow after so many similar ones, and in comparison to what you have all been through. I grew up down the street from Ty and Hannah and remember them very fondly, Ty was so kind from the very first day you moved to the neighborhood to the last time I saw him. My heart aches for your family and I pray he has found his peace. I pray that soon you will find some more peace and solace as well. Blessed be Mullins and Albright family.